Upon asking escape room owners their favourite venues (other than their own of course! ), one location and room in particular came up time and time again: Tulleys Farm’s Nethercott Manor. We’ve heard lots of great things about this venue and with their well publicised Shocktober fest being an autumn calendar highlight, we arrived at Tulleys Farm with high expectations excited for our own hour at the haunted manor. Our game kicked off in a very fitting but unexpected scenario to what we were expecting and we were immediately dazzled by the impeccably high standard of the set dressing. The decoration was on par with what you’d expect within the confines of corporate theme parks. Just 30 seconds over the threshold and we were already fully immersed and suitably impressed. The loose background story of uncovering a family's secrets in the long empty Nevercott Manor may have seemed lacking initially but as the game unfolded it became clear that the vague mystery that had been portrayed was a clever decision on the game designers part. The few logical fun-to-complete puzzles in the first room set the tone of the game from the offset. Upon successfully accessing the experience proper, the standard of its sublime decor and onslaught of puzzles continued to impress alongside the ever expanding space. 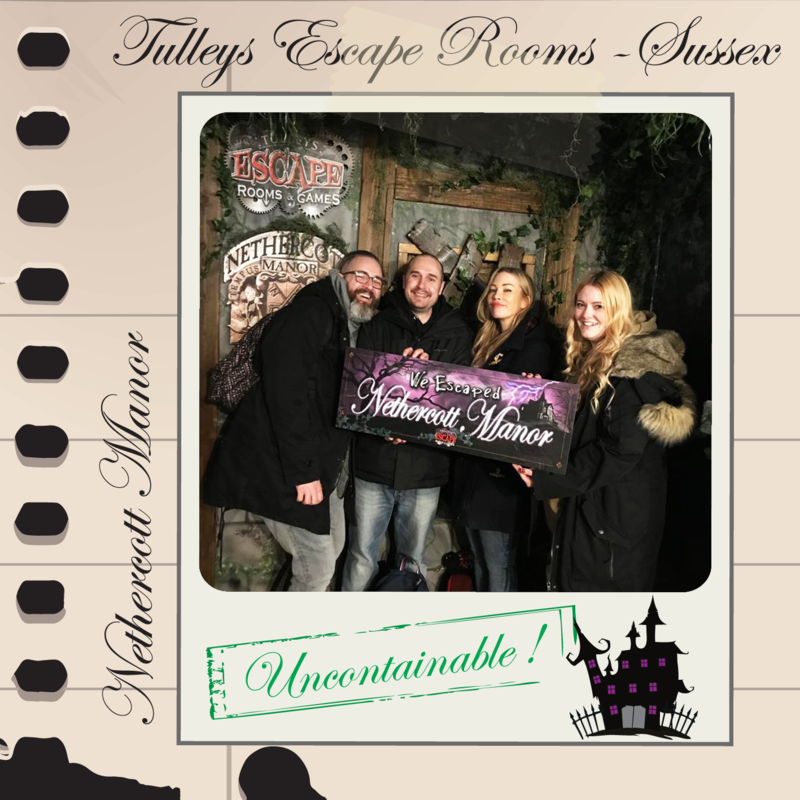 Tulleys had made it surprisingly easy to suspend disbelief, given that we were in fact inside a farmhouse in the middle of Crawley! Whilst we found no puzzle particularly troublesome, there was more than plenty to get through which is where smaller or less experienced teams could run into difficulty. Due to the size of the space you’ll find yourself running back and forth in mild panic to get everything completed in time and this is where the pressure really piles on. There was a great selection of varied puzzle styles; from basic logic, maths, physical and observation, to the traditional resolves and the technical - all of which strengthened the rooms theming and was executed faultlessly. Whilst we like the ability to separate with lots to keep all members of the team busy, we’d usually frown upon this resulting in the possibility of team members missing large chunks of the room. But the prospect of members missing out on areas entirely within the game!? A big no-no! However, this happened on our run and bizarrely we never felt at all cheated. Nethercott Manor is extremely puzzle dense and it requires all members of the team to be solving puzzles at all times if there is any hope of escaping. Fortunately we had assistance in the form of a rather helpful ghost! Michele our fabulous GM timed her spooky intervention fittingly. Michele admirably monitored all members over the expansive space, a feat in itself and a skill she has clearly honed to perfection. A gentle ghoulish nudge in the right direction when necessary, without providing out and out resolves maintained our sense of achievement upon completing puzzles and assisted in maintaining a steady pace throughout. It’s easy to assume given the notoriety of Tulleys Shocktober attractions and the eery theming surrounding Nethercott Manor’s publicity that this room is scare-fest - it’s not. Certainly tamer than our initial perception but this is in no way a negative. If anything it makes Nethercott Manor more accessible to those of us who prefer the mild adrenaline rush of a few jump scares over a nerve jangling, near-unbearable hour. 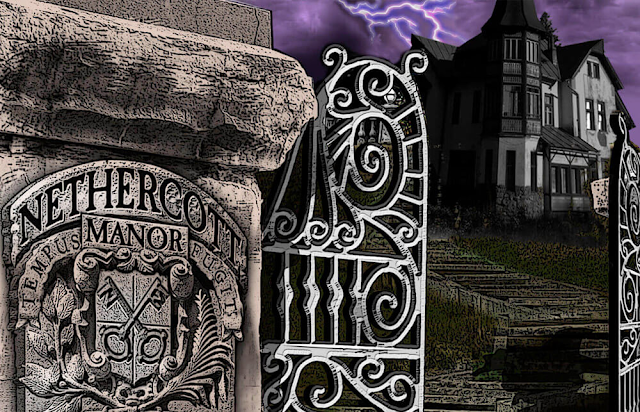 Nethercott Manor leaves you feeling uneasy, but never terrified. If we had any minor niggle it would be that perhaps Tulleys could consider providing lockers outside the room for players to store their possessions before entering the game. Frustratingly where we were invited to place our belongings within the space concealed an item needed for a puzzle. We felt a little cheated by this as it perhaps haemorrhaged our escape time by a few minutes - and trust us, inside Nethercott Manor every second counts! We escaped with seconds to spare, but having noted the monthly leader board times we were rather happy with our result ...and that we had even managed to escape at all! 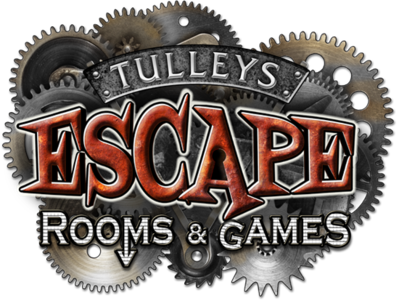 Having played all three of Tulleys rooms in the chronological order of their conception. The obvious progression from it’s still excellent first room Mutiny, to its most recent Nethercott Manor, leaves us extremely excited for what Tulleys Farm is harvesting next. We could rave about Nethercott Manor until the cows come home. When it comes to a fully immersive, highly produced, puzzle dense hour of pressurised fun - it's certainly the cream of the crop and comfortably seeds itself as our favourite UK room to date.